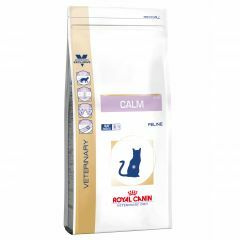 Royal Canin Veterinary Diet Feline Calm Dry (CC 36) is a complete cat food for adult cats that helps cats manage difficult situations and manage stress-related digestive, skin and urinary signs. 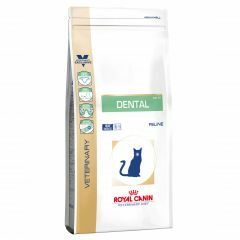 Royal Canin Veterinary Diet Feline Dental Dry is a complete feed for adult cats over 6 months of age with oral sensitivity. Royal Canin Veterinary Diet Feline Renal Dry (RF 23) is a complete dietetic feed for cats formulated to support renal function in the case of chronic or temporary renal insufficiency, through its low level of phosphorus and high quality protein. Royal Canin Veterinary Diet Feline Renal Select (RSE 24) Dry is a complete dietetic feed for cats. 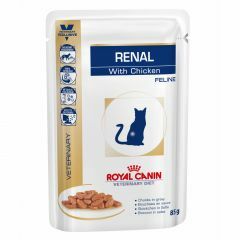 It's specially formulated to support renal function in the case of chronic or temporary renal insufficiency and reduce oxalate stone formation. Royal Canin Veterinary Diet Feline Urinary S/O Dry (LP 34) is a complete dietetic feed for cats. 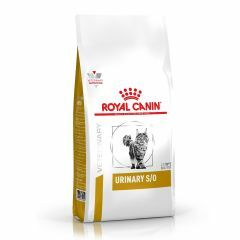 Its urine acidifying properties and its low level of magnesium make it suitable for dissolving struvite stones and reducing their recurrence. 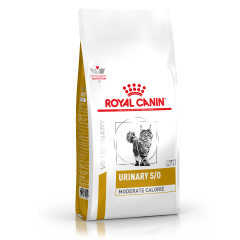 Royal Canin Veterinary Diet Feline Urinary S/O Moderate Calorie Dry (UMC 34) is a complete dietetic food for cats. 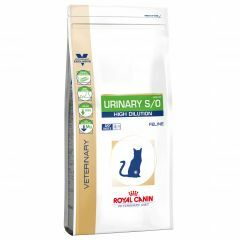 Its urine acidifying properties and low level of magnesium make it suitable for dissolving struvite stones and reducing their recurrence. Royal Canin Veterinary Diet Feline Urinary S/O Wet with Chicken is a complete dietetic feed for cats. 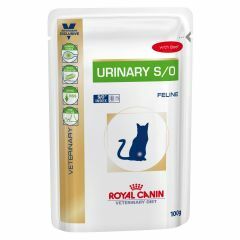 Its urine acidifying properties and its low level of magnesium make it suitable for dissolving struvite stones and reducing their recurrence. 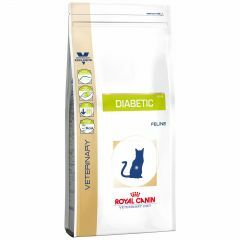 Royal Canin Veterinary Diet Feline Diabetic Dry (DS 46) is a complete dietetic feed for cats formulated to regulate glucose supply (Diabetes Mellitus). This feed contains a low level of rapid glucose releasing carbohydrates.